Elysa Louise Rojas is a sweet, bright and beautiful little girl who was taken from our earth far too soon as a result of Viral Myocarditis. Over the course of very routine-looking childhood illness, Elysa’s condition took a turn for the worse. Less than 9 hours into medical intervention in the ER and PICU, Elysa’s heart suddenly went into an irreversible arrhythmia. Healthcare providers had never considered Elysa’s heart to be a possible cause for her illness and were absolutely shocked when her heart suddenly stopped functioning. 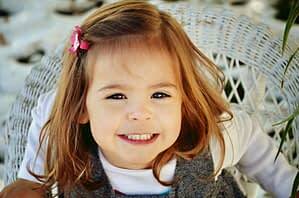 While the medical treatment she received was perfectly appropriate for 99% of cases presenting as she did, this medical intervention in fact worsened her condition and actually initiated the fatal heart arrhythmia that abruptly ended her life just prior to her 3rd birthday. Her family and friends were left with so many questions, completely heartbroken and wondering how this could happen to the healthy little girl who brought so much joy and sunshine to their lives. Her family is establishing a foundation based upon Elysa’s initials, dedicated to improving the Education of healthcare providers and the community, providing Light to families affected by pediatric cardiac conditions and promoting Research around the diagnosis and treatment of myocarditis. Through the work of “For Elysa,” our hope is to continue to fulfill the bright future and promise of our sweet angel.